A well-constructed hazard assessment is one of the most important tools for preventing workplace injuries, illnesses, and fatalities. 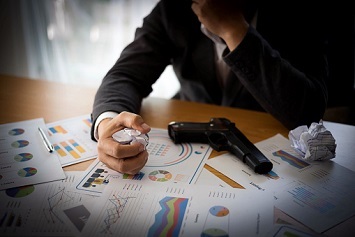 They help analyze potential situations to determine the risks they pose, and provide security teams with the data to decide how best to contain and control those risks. Unfortunately, one increasingly common hazard has thus far defied our ability to predict and prevent it—mass shootings. If the unprecedented numbers of mass shootings in America have accomplished anything at all, it is this: they have given us plenty of data to work with. That data has not yielded any miracle cures, but it has given us a much clearer picture of what turns a person into a mass shooter—and how such people can be identified before they pull the trigger. Here’s what we’ve learned, and how it can help to predict and prevent mass shootings. Lots of attempts at predicting shooters focus on shooters’ hobbies—what video games they play, what music they listen to. But first-person shooter games and heavy metal music are very popular, and most of the people who like them don’t become mass murderers. So, what does have a high predictive value? Bragging about an upcoming attack. In many school shootings, the shooters telegraphed their intentions by one or more of the above behaviors—but their friends never reported the threats or warnings. After the fact, some of the young people who had seen and heard these signs simply didn’t take them seriously. In other cases, they questioned the shooter—who reassured them that the threat wasn’t serious. In some cases, people assume that a person who is serious about mass murder would not announce his intentions—but, like suicide, it’s not at all unusual for the threat to precede the action. 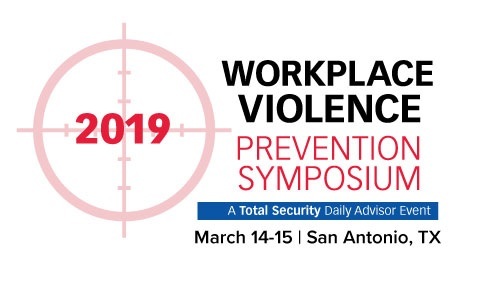 For more workplace violence prevention strategies, join us at the 2019 Workplace Violence Prevention Symposium, March 14-15 in San Antonio, Texas. Copycats are common in the world of mass shootings: one mass shooting often leads to another, or to multiple “others.” This, too, can provide valuable information that helps to predict and prevent shootings: mass shooters tend to admire and pattern themselves after other mass murderers. Mass shooters often lionize and seek to emulate previous mass shooters or mass murderers (like Charles Manson or the Unabomber), and they sometimes praise other attacks. Statements like “Somebody should do that here” are ominous, and may presage a violent rampage. Individuals who are planning a rampage may be openly fascinated by or obsessed with previous attacks, list mass shooters as role models or people they admire, and quote statements made by other mass shooters. Dawson College shooter Kimveer Gill, for example, wrote “Ich bin Gott” (German for “I am God”) in classmates’ yearbooks—as Columbine shooter Dylan Kleybold had also done. Shooters may make pilgrimages to the site of the shooting they are obsessed with, taking photographs and purchasing items similar to those used by previous shooters. This is an important red flag, especially when it is combined with another key ingredient of mass shootings that we’ll look at tomorrow—access to weapons.